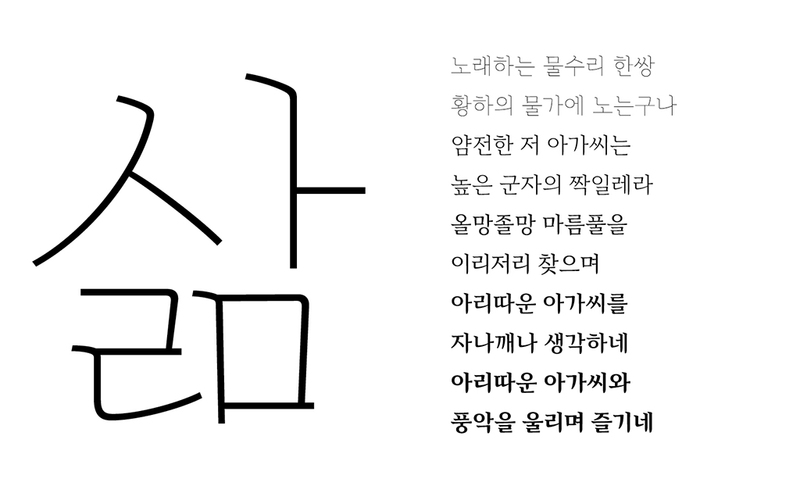 아리따 부리는 긴 호흡의 문장에 적합한 본문용 글꼴로, 아모레퍼시픽은 2005년부터 아리따 글꼴을 개발하기 시작하여 글자가족 별로 개발이 완료되어 일반인들에게 공개하고, 무료로 사용할 수 있도록 하고 있습니다. 아리따부리는 이중 본문용 명조글꼴 계열입니다. 기존 명조체의 예스러운 표정에서 벗어나 현대적인 표정을 제시했으며, 헤어라인(hairline)이라는 새로운 굵기의 글자가족을 개발하여 쓰임의 범위를 넓혔습니다. 안상수 크리에티브 디렉터와 함께 이 프로젝트에 디자이너로 참여하여 총 5종의 아리따부리를 개발에 참여하였고 아리따 부리는 2015년에 레드닷 디자인 어워드에서 타이포그라피 부분에서 상을 수상했습니다. 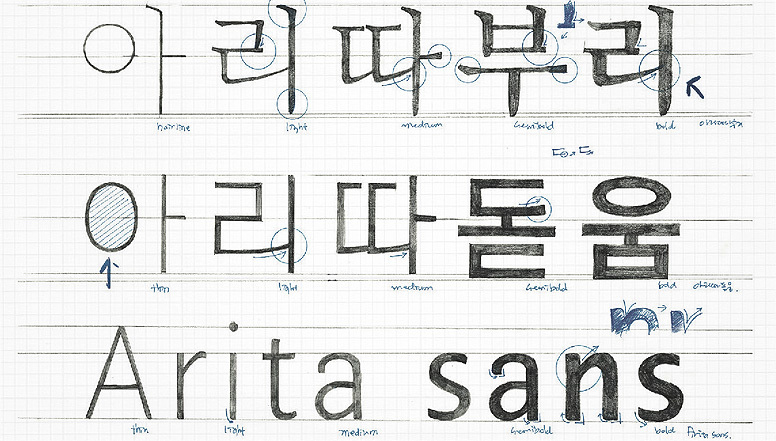 Arita is a set of corporate typefaces for the Korean cosmetics company AMOREPACIFIC. Arita was started with Arita-dotum in 2005 and became a complete typeface family with the addition of Arita Sans in 2011 and Arita-buri in 2013. Arita-buri was designed in 5 weights, and the thinnest one is ‘hairline’ weight. 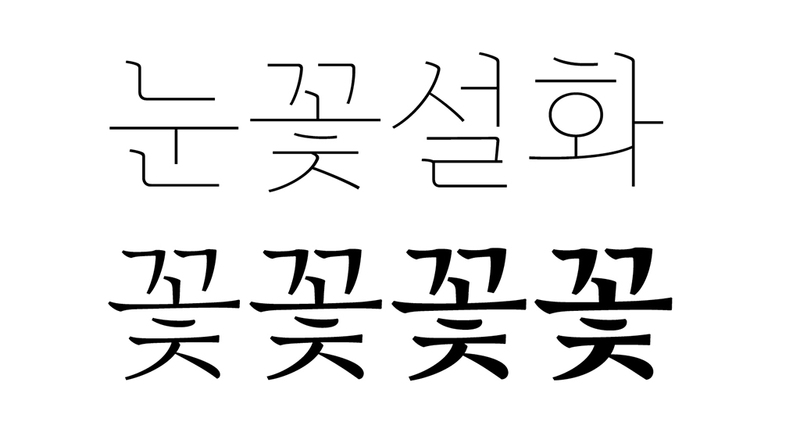 Hairline weight was the first attempt in Korean typeface design.